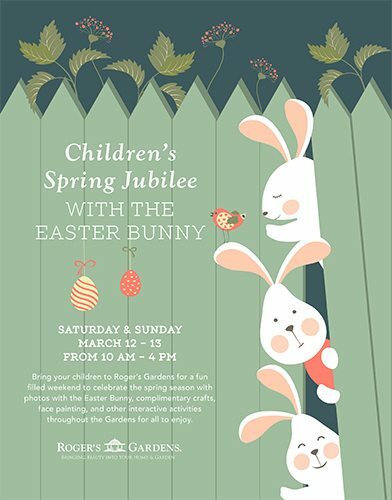 Bring your children to Roger’s Gardens for a fun filled weekend to celebrate the spring season with photos with the Easter Bunny, complimentary crafts, face painting, and other interactive activities throughout the Gardens for all to enjoy. Don’t forget your camera! The Easter Bunny can’t wait to see you and your children this weekend!